We welcome members from throughout the Indo-Pacific region to explore and share the ageless wisdom in fellowship, meet old friends and make new ones. These conferences are full of learning and inspiration. The Indo-Pacific Conference is a special event held every few years with people coming from many countries in the Asia Pacific region. New Zealand is the host Section for this conference and we look forward to welcoming you here. Venue: Rose Park Hotel (Visit the website to have a closer look). Located in Parnell, Auckland overlooking Sir Dove Myer Robinson Park, which incorporates the stunning Parnell Rose Gardens with attractive views over the Auckland Harbour. The location is close to central Auckland CBD with easy access to walks and harbour cruises. Single or twin share rooms available with wifi access, restaurant and swimming pool. Twin share room on the left and view from the restaurant to the rose garden across the road. Registration: PLEASE NOTE REGISTRATIONS ARE NOW CLOSED. The conference has proved very popular and the conference facility is now booked out. 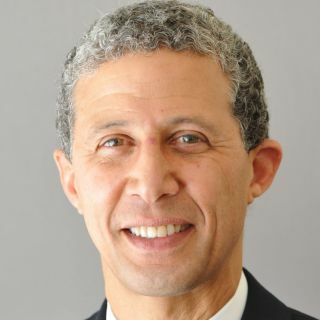 Tim Boyd is the International President of the Theosophical Society and the International Theosophical Order of Service. Born in New York City, he studied at Brown University and later at the University of Chicago. In Chicago Tim joined the TSA in 1974 and co-founded a Theosophical spiritual community in Chicago’s inner city. The group held classes on the Ageless Wisdom, meditation and healing. They formed a business which helped stabilise neighbourhoods through the training and employment of local youth and the creation of affordable homes for area residents. 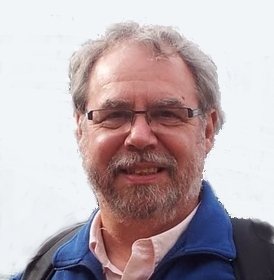 Tim has been involved in Theosophical work at many levels: from lodge member, to TSA president and president of the Theosophical Order of Service USA. Tim has spoken across the USA and every continent except Africa. 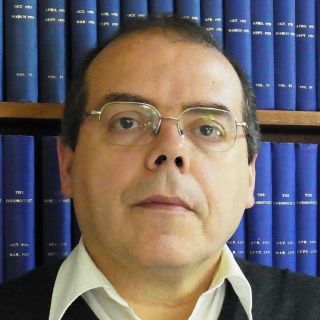 His articles have appeared in journals around the world. Everyone is aware that change is constant, but making personal change can be difficult. The inner qualities most required – clarity, peacefulness, and wisdom – seem to be in opposition to the world around us. The profound change described as transformation, or regeneration has been the Theosophical Society's focus since its inception. In geometric figures, gravitational patterns, conscious life forms, and human social and political structures the center and centering are of vital importance. Unfoldment of deeper potentials of consciousness depend on our ability to be aware of, then function through progressively more refined "centers" within us. The Ageless Wisdom tradition gives guidance in this process. Dorothy Bell BA, MEd. Fulbright scholar in education; is trained in curriculum design, corporate governance, strategic management and counselling. 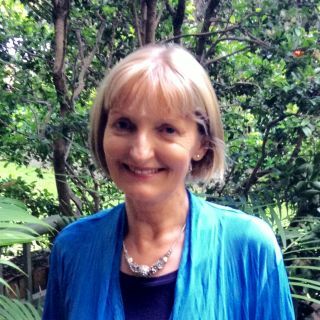 Joining the Theosophical Society in 1999, she served on the Australian TS national executive committee and education unit, and has presented theosophical programmes and published articles internationally. Her special interest is transformation of consciousness; becoming who we already are and growing Theosophy as a living power in our lives. In the context of the theme of the Conference, it is timely to review the ‘teaching of the teachings’, the instructional methods of the late 19th century that the Society adopted in its beginnings – which were of its time and represent one model of schooling. Since that time, new ways of teaching have been developed that reflect new models of education. These centre on learning and self-empowerment more than on teaching a subject. The question arises, “Does ‘a new continent of thought’ demand a new mode of teaching?” This will be explored. 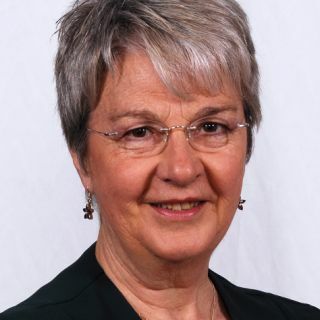 Linda Oliveira joined the Theosophical Society in 1971 in Canberra, Australia. Her Arts degree is from the Australian National University. Linda spent a year in the American Section mainly as a student at the Krotona School of Theosophy, California, and working at the National Headquarters of the American Section. She is a former International Vice-President and is a member of the General Council. Linda is the National President of the Australian Section and edits Theosophy in Australia magazine. She holds a conviction that genuine reflection upon the Wisdom teachings provides an opportunity for human spiritual transformation, when they are deeply assimilated and practised. The word ‘dharma’ is rich and profound suggesting, among other things, an ideal state which contains within it the inherent potential for growth and evolution. We will consider the applicability of this term to the Theosophical Society when it was formed, whether the dharma of the Society may have changed since 1875, and whether it even requires a change in emphasis at this time. For many years and in different continents I have heard the criticism that the TS is now ‘old hat’, and that more successful spiritual groups have superseded it. However, the TS, for the past 140 years, has been reinventing itself to adapt to a fast changing world. Remarkably, the early inspiration that spurred the beginnings of the fledgling Society is still here through the lives of members who are learning not to live for themselves alone. 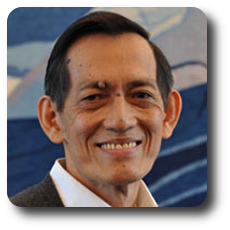 Speaker: Vic Hao Chin Jr.
Vicente (Vic) Hao Chin Jr is an acclaimed international theosophical leader, speaker, educationalist and writer. He is the past President of both the Theosophical Society in the Philippines and the Indo-Pacific Federation. Vic is Editor-in-Chief of the Theosophical Digest and Associate Editor of the Theosophical Encyclopedia. He is President of Golden Link College, a theosophical school in the Philippines, which he established in 2002. Mahendra P. Singhal is former international Vice-President of the Theosophical Society, Adyar. He is a Life Member of the Theosophical Society and an international speaker. The purpose of the TS is Holistic Human Transformation by harmonising the psychic and spiritual through Study, Meditation and Service. TS is a body of students who study and communicate theosophical doctrines to others, especially the young. TS members popularise theosophical literature, reflecting theosophical values of Unity and Universality in their lives. TS means unity, peace, harmony – relevant in the Modern World. Chong Sanne is President of the Singapore Lodge Theosophical Society and Presidential Representative for Asia, East & South East. He is a long-time student of theosophy. More than 300 letters from seven Mahatmas were received privately by early members of the TS. It is not just the phenomenal ways in which the letters arrived but the omniscience and encyclopedic knowledge of the Mahatmas that are remarkable. Profound teachings in these letters are intriguing and their gems of Wisdom are a source of inspiration. John Vorstermans is the National President of the Theosophical Society in New Zealand and President of the Indo-Pacific Federation. John has spent many years studying and endeavouring to practise teachings from the Wisdom Tradition, to experience their real wonder and gain knowledge that study alone cannot bring. John has also focused on transformative processes that help people to understand themselves and create change in their lives. The ‘why’ or purpose of the Theosophical Society is important to understand clearly if we, as an organisation are going to communicate with a consistent message. If we know our ‘why’ then we can more easily define how we fulfil our purpose and what we do to make this happen. The Theosophical Society was unique when it was founded 140 years years ago but today we may be seen as lost in a world of many apparently similar organisations. Post Conference Outing. See further down page. Post Conference Theosophy and Science Seminar. Following the Indo-Pacific Conference, there will be a Science and Theosophy Seminar held at the Auckland Theosophical Centres. For more information on this please visit the Theosophy New Zealand website. Below are some options for tours in New Zealand following the conference.